No dog owner ever wants to see their furry companion in pain. After all, dog owners view their pets as just another member of the family and will do anything to keep them as healthy as possible. Unfortunately, sometimes taking care of a pet is not always easy, especially if they fall ill with a sickness or are in any form of visible discomfort. Although they may not be able to communicate that to you, you can still tell when your pup is not feeling at their best. You can tell your dog is suffering by their body language and symptoms, but what could be the cause? They may be lethargic, vomiting, or have a loss of appetite. However, these are generalized symptoms that can be applied to just about every illness. Is it something serious or did your dog ingest something that is upsetting their stomach? It’s fairly common that dogs vomit, but chronic vomiting and symptoms of dehydration could mean your pupper needs a type of dog vomiting treatment. Just like humans, dogs can also suffer from vomiting or other stomach issues when they are sick. Although this may be an alarming sign that catches your attention, just remember that this is a common side effect of many things, and is usually only a minor issue. If you are wondering why your dog is vomiting white or how to cure their symptoms, then you have come to the right place. This article will go over all the possible causes of why your dog is getting sick and what you should be doing as their owner to help them get better. Vomiting is characterized by the forceful rejection of stomach contents that have already been partially digested. This usually occurs when a dog has consumed something that is indigestible, has eaten quickly, or has exercised after a large meal. Before the dog actually vomits, notice if they have a change in their behavior. Most of the time, before a dog is about to vomit, they will usually show symptoms such as nausea, drooling, contractions, or retching. As previously stated, vomiting is most often a benign symptom. Just like how humans get a stomach bug, so can our beloved pets. You wouldn’t run straight to the doctors after having a stomach ache for just one night would you? The same goes for your dog. What Does it Mean When Your Dog Is Vomiting White Foam? Throwing up white foam is a common symptom that your dog’s body is trying to rid itself of a substance that is in their system. More often than not, this can be a sign of eating too much grass or digesting too much dirt. Often times dogs eat stuff off the ground thinking it’s food and this leads to dietary indiscretion. As long as they are not throwing up constantly, a little indigestion is completely normal. Common symptoms of kennel cough in dogs include eye drainage, nasal discharge, lethargy, excessive coughing, and you guessed it, vomiting white foam. This highly contagious respiratory disease can be easily transmitted from one dog to another just by coming into contact with a contaminated area. Luckily, once this condition has been properly diagnosed, the animal can expect a full recovery through treatment. Bloat in dogs is a life-threatening condition that should be dealt with at the first onsight of symptoms. This condition occurs when a dog’s stomach becomes full of gas, liquid or air, which creates extra pressure on nearby organs. In severe cases, the stomach can actually twist and restrict the dog from expelling this gas through belching or throwing up. Once this happens, the blood circulation to the heart is restricted and the fear of going into shock becomes a frightening reality. Aside from vomiting white foam, dogs will also experience several symptoms including an inability to defecate, coughing, pale gums, a bloated abdomen, and excessive drooling. If you think your dog is suffering from bloat, take them to the veterinarian as soon as possible. Inflammatory bowel disease in dogs is an uncomfortable situation where a dog’s stomach and/or intestines becomes inflamed due to a high number of cells are inflamed. This disrupts the digestion process and can cause chronic vomiting and diarrhea. Pancreatitis in dogs occurs when the pancreas swells and becomes inflamed. In a healthy pancreas, dog food can be easily broken down and digested. When the pancreas is not operating how it should, it will have difficulty processing the food and will have to find another way to rid the body of the excess ingested substance. That is why many dogs suffering from pancreatitis will regurgitate their food on a frequent basis. Other signs of this condition includes weakness, hunched back, repeated vomiting, abdominal pain, dehydration, and loss of appetite in dogs. Your dog could be suffering from a condition known as Gastrointestinal hypomotility. This is a syndrome in which the muscles of the digestive system show poor contraction. Because of this food can not move adequately through the resulting in abnormally slow movement of ingested food through the digestive tract. Pay close attention to when your dog is vomiting. If this occurrence is most common in the morning, it could be that your dog is suffering from reflux gastritis. This condition occurs when the stomach becomes irritated by acid, usually when it is empty (hence why it is so bad in the morning). In severe cases, the gastric stomach acid can cause damage to the esophagus and put the dog in significant pain when it’s time for feeding. Dogs suffering from reflux gastritis may throw up white or yellowish vomit due to an irritation in their stomach. If your dog has a total loss of appetite, is physically weak, becomes disoriented, is struggling to urinate, or is vomiting white foam, they could be suffering from kidney disease. Prolonged kidney disease will eventually lead to complete kidney failure in dogs if left untreated. If you think your dog may be suffering from issues with their kidneys, it is highly advised to take them in for a physical examination. This infection is a viral condition that is transmitted through oral contact with infected feces. 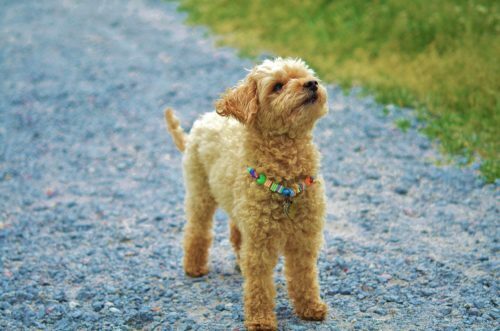 Although this virus is mostly found in puppies, parvovirus can infect any dog and usually shows symptoms after just 7 to 10 days of being exposed to a contaminated source. Other symptoms besides vomiting white foam may include bloody diarrhea, lethargy, anorexia, or fever in dogs. Unfortunately, there is no cure found for the Parvovirus. When a dog is diagnosed with this condition, they will receive treatment to mitigate their symptoms and to make them as comfortable as possible. Although highly unlikely, a dog who is vomiting white foam may be suffering from rabies. Keep in mind if your dog did have rabies, this would be among the last stages and would probably already be identified at this point. To prevent this from happening, make sure your dog is all up to date on their vaccinations and boosters. Addison’s disease in dogs is also referred to as hypoadrenocorticism. This occurs when there is an abnormal decrease in hormones known as mineralocorticoids and glucocorticoids. These hormones are produced by the adrenal glands, which are located near the kidneys. Deficient production of both these hormones can cause a number of symptoms like weakness, symptoms of dehydration, low blood pressure, depression, heart toxicity, vomiting, blood in feces, and weight loss. First things first, is there an obvious cause for why your dog is vomiting? If you can answer this question, chances are your dog has eaten something they shouldn’t have and are just trying to get rid of it. If their vomiting seems to come out of the blue and is becoming more frequent, then it may be a good idea to consult with your veterinarian for further analysis. Once you make your appointment, be ready to inform your vet of all your dog’s symptoms and behavior changes that have been present in conjunction with their vomiting. In most cases, vomiting white foam is just a sign of digestive tract issues, usually in regards to something that has been consumed. If you notice your dog is now all of a sudden lethargic, has a loss of appetite, or is experiencing irregular bowel movements, make sure to notify your veterinarian so they can use this information during their diagnosis. After your vet has received all information and has done a physical exam, they will then run a series of diagnostic tests to see the overall health of your furry companion. Most of these tests include a blood count, a urinalysis, x-rays, or even ultrasounds depending on what they are looking for. If your vet finds out that a more severe issue is causing your dog’s vomiting, then a specific treatment plan will be used for their particular ailment. Treatment may vary significantly depending on the cause and severity of their health problem. It is strongly advised to follow whatever treatment plan your vet recommends. As said previously, the majority of the time a dog is vomiting white foam is not because of some life-threatening issue, but is from an upset stomach or overconsumption. If this is the diagnosis for your dog’s sickness, consider yourself lucky that it isn’t anything worse. There are a number of different health problems that can have a major impact on your dog, and if an upset stomach is the severity of the problem, then there is nothing to worry about. Your vet will recommend changing their diet or restricting their food intake until their symptoms subside. After you have restricted their diet and it’s time to reintroduce their food slowly, try feeding them a simple diet of chicken and rice until they are fully back to normal. Start with a small portion and wait to see how they react. The last thing you will want is for your dog to start throwing up again right after their symptoms were almost gone. Other common food items that are known to help soothe an upset stomach in dogs are pumpkin, oatmeal, sweet potato, and banana. These foods are known to be amazing natural remedies to ease an upset stomach and get your dog feeling as good as new. Even though these are safe to eat, always consult with your veterinarian for recommendations and guidance. If your dog is suffering from vomiting or even diarrhea, chance are they have become quite dehydrated throughout the entire process. While your dog is recovering, make sure they have plenty of clean drinking water readily available at all times. This step will help them quicken their recovery time and replenish their hydration. Barretto, Esperance. “What Are the Causes of Dogs Vomiting White Foam?” Cuteness, 7 Nov. 2017, Accessed 11 Dec. 2017. www.cuteness.com/article/causes-dogs-vomiting-white-foam. Peña, Melvin. “Why is My Dog Vomiting White Foam?” Dogster. 4 Sep. 2018, Accessed 11 Dec. 2017. https://www.dogster.com/lifestyle/why-is-my-dog-vomiting-white-foam. Bocco, Diana. “ Different Types of Dog Vomit, And What They Indicate”. PedMD, Accessed 11 Dec. 2017. https://www.petmd.com/dog/conditions/digestive/different-types-dog-vomit-and-what-they-indicate. Goldstein, Marty. “Is Your Dog Vomiting White Foam? Here’s a List of 7 Possible Reasons”. Dr. Marty Pets, 21 Mar. 2018, Accessed 11 Dec. 2017. https://drmartypets.com/dog-vomiting-white-foam/. Callum, Turner. “Spitting Up White Foam In Dogs”. Wag Walking, Accessed 11 Dec. 2017. https://wagwalking.com/symptom/why-is-my-dog-spitting-up-white-foam.